The United Politics Initiative tackles one deeply challenging problem at a time through a bipartisan, data-driven, community-based approach. We pilot cross-partisan solutions for issues that drive a wedge between people and appear to be intractable. The UP Initiative demonstrates that we, as Americans, can solve tough problems together. If given enough media attention, these efforts can change the national narrative that we can no longer solve our toughest and most contentious issues together. We believe that working on these issues will also open the door making progress on many of the initiatives seeking to improve the health of our democracy. Research on solutions that have worked in communities: The national debate on policy options is shallow, but communities have been struggling with finding real solutions for years. The UP Initiative will compile these practical solutions that work into one cohesive document. National online survey: While many surveys have been conducted concerning the level of support for different tactics used to address gun violence, only the same few policy solutions are explored in polls. Using the research described in step one, the UP Initiative will develop an on-line survey to gage the level of support for the non-politicized solutions. We will advertise in conservative, progressive, and other media sites to drive as many as 100,000 people take the survey from all walks of life. This research will identify commonalities across the political spectrum. Our media strategy will also ensure that media will support the deepening of the national dialogue so that it is rich with solutions supported across the political spectrum that work. Community pilots: We will work with six pilot communities to identify a set of consensus actions and policies that address gun violence against youth. The selected communities will represent diverse states and a mix of urban, suburban, and rural contexts. 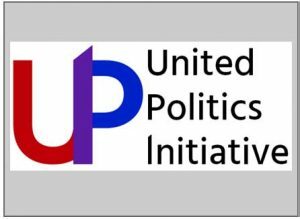 The UP Initiative will facilitate a dialogue in communities that have “purple” characteristics, such as neighboring Republican and Democratic house districts, or a mixed city council. These dialogues will include community members and leaders who can affect change, such as youth, parents, religious leaders, gun store owners, law enforcement, school districts, and local, state, and federal government representatives. In parallel, a community engagement process will be implemented to inform the consensus. After six months, each community will hold a press conference indicating their commitments. The combination of diverse opinions, community leaders who can implement change, and research that identifies solutions that work will lead to real, life-saving measures in these communities. Implementation: Each community will have matching grants and real-time evaluations made available to them to help actualize their plans. Jacob Bornstein is the founder and principal of Wellstone Collaborative Strategies and the founder and director of United Politics Initiative. Wellstone Collaborative Strategies offers stakeholder engagement, facilitation, and strategic planning services. The UP Initiative is tackling gun violence against youth with a bipartisan, data-driven, and community based approach. Bornstein has a 20-year track record in facilitation, stakeholder engagement, strategy design, and nonprofit leadership. Bornstein specializes in reaching consensus in collaborative initiatives around contentious topics. While at the State of Colorado, he spearheaded the development of the scenario planning process that underpins Colorado’s Water Plan and facilitated the final set of consensus actions with a nearly 400 member stakeholder process. Bornstein has also provided facilitation and strategic planning services for topics including: environmental health, health care, services for people with disabilities, healthy schools, social and emotional learning, climate change, sustainable ocean fisheries, and restorative justice. Bornstein is the former Director of Consulting for the Spark Policy Institute, was the Executive Director of the Colorado Watershed Network, and was a statistical and scientific methods consultant (six sigma blackbelt) for large companies (i.e., General Electric) and Ph.D. students designing their dissertations. He holds a Master of Science degree in biology from the University of Massachusetts and a Bachelors degree in the philosophy and history of science from Hampshire College. He lives in Denver, Colorado with his wife, and two young girls and is always on the lookout for great Thai food.